We stopped by the Southbank Centre to talk with Literature Programmer Bea Colley about the reopening of the Queen Elizabeth Hall and the Purcell Room and the upcoming event: Fifty Poems from Five Decades. To mark 50 years since the opening of the much-loved Queen Elizabeth Hall and Purcell Room at Southbank Centre in 1967, the poets journey through past social, political and cultural landscapes and reinterpret movements and moments of those years through a poetic lens. 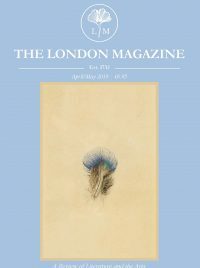 The line-up of poets includes Fleur Adcock, Al-Saddiq Al-Raddi, Simon Armitage, Jay Bernard, Malika Booker, Imtiaz Dharker, Caleb Femi, Ifor ap Glyn, and Lavinia Greenlaw.